The Sacrament of Anointing of the Sick represents union with the passion of Christ in the midst of a person’s illness. This sacrament takes sickness and bodily death, which is an expression of the extent of the fall of man from original sin, and allows sickness to be redemptive for the individual. This sacrament takes sickness and suffering which, in and of themselves can bring about hopelessness, and uses them to transform a person even at the end of their lives. 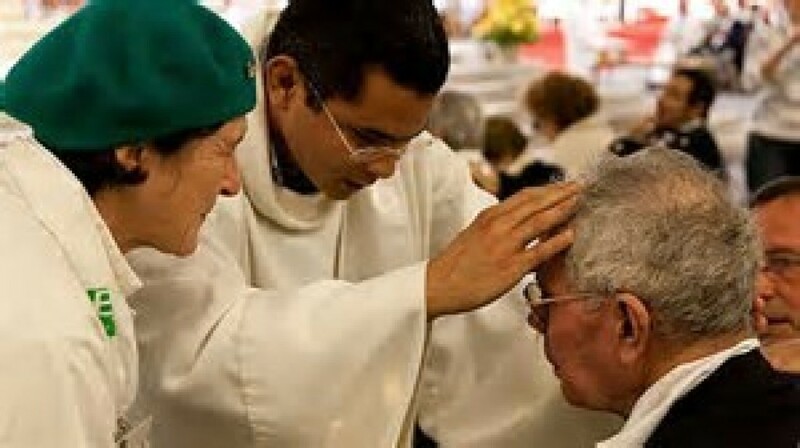 Reception of Anointing of the Sick is celebrated by being anointed with the Oil of the Sick (which is blessed by the Bishop at the Chrism Mass during Holy Week ) with the proper prayers by a priest or bishop. By receiving Anointing of the Sick, a baptized person participates in the saving work of Jesus Christ. Please notify the Parish Office if a loved one is in the hospital, nursing home, home-bound, anticipating surgery, seriously ill or in danger of death. Fr. John will be honored to administer the Sacrament.